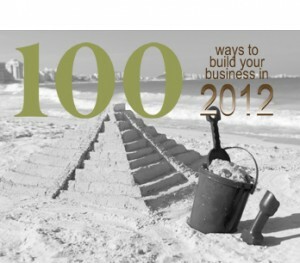 Milwaukee's Clear Verve Marketing has released “100 Ways to Build Your Business in 2012, " a collaborative effort between Clear Verve, and 20 Milwaukee area firms who all contributed ideas to the book. Trivera Founder and President Tom Snyder's contribution to the book is "5 Procedures to Resuscitate your Website." Other sections of the book deal with topics from marketing to management. “I was honored to be considered one of the smart Milwaukee business people chosen to contribute to the project," said Snyder. "We've always been a fan and partner of Clear Verve founder and president Christina Steder. To be a part of this project with her and so many other local business heroes was a no brainer. " The e-book is full of ideas for businesses to implement over the coming year, and the site where the e-book can be downloaded also provides readers with the opportunity to receive monthly emails with tips to help maintain their momentum. The e-book is available for download for free at www.100Ways2012.com. Sign up for the email tips is also available by clicking on the Continued Success tab.